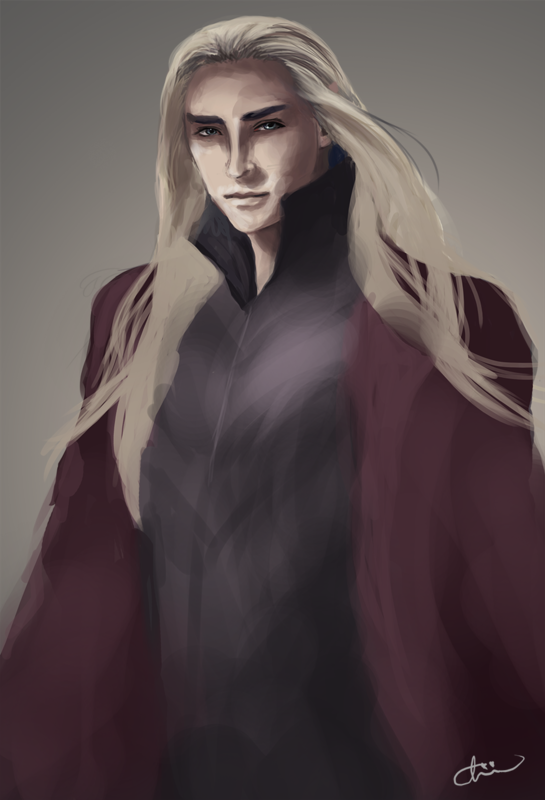 My love for Thranduil is not over... Here is a WIP of how far today has taken me. I can not complain, the best feeling ever is when you start painting and just can not stop because of the joy it gives you! I have also rediscovered some amazing photoshop brushes, they suit my style perfectly.